There are certain body processes that are not under our control. Take hormones, for example: For women, essentials such as estrogen and progesterone help to regulate things like reproduction, growth, and metabolism. They’re necessary, and their levels are not something that anyone can regulate. Hormones may cause women to feel differently based on different levels, but those changes do not have to be something that happens without awareness. In fact, understanding what’s going on in the body and why it’s happening is a good way to feel and be more in control. Take menopause: Many women are taught to fear it because of how radically the body changes hormone levels. But in fact, many women experience menopause as a positive phase of life. Even so, it’s helpful to understand what negativity may happen and what women can do to understand it. This graphic helps explain those hormone fluctuations. If you feel like your hormones are holding you hostage, here are some relatively simple lifestyle changes that may help. Keep a diary of your symptoms for a few months. Every woman is different, and the only way to understand your moods is to record them and analyze the data. It may bring relief to observe that cyclical annoyances don’t usually last long. Studies suggest that women with PMS may be deficient in calcium and magnesium. According to some experts, foods rich in vitamin B6, omega 3 fatty acids and zinc may help prevent mood swings. It can’t hurt to eat a more nutrient-dense diet. Reach for vegetables, leafy greens, beans, seeds, nuts, legumes, whole grains, poultry, seafood, seaweed and fish. Some women report insomnia before menstruation, which is when estrogen and progesterone levels plummet. 40 to 50 percent of women experience insomnia during menopause. Women with sleep disturbances are more likely to feel stressed out, tense, anxious, or depressed. To improve your odds of a good night of sleep, make your room dark, quiet, and cool, and stick to routine sleep and waking times. In one study, eight weeks of aerobic training significantly reduced participants’ premenstrual symptoms. Choose physical activities you enjoy since the point is to feel good. Women who experience stress early in a menstrual cycle are more likely to experience mood swings later in the cycle, according to a study. Walking, mindfulness exercises, visiting nature, and hanging out with friends are proven ways to reduce stress. In studies, caffeine has been shown to decrease feelings of relaxation and increase ratings of anxiousness, tenseness, and nervousness. Alcohol may interfere with estrogen detoxification (which could be why it’s associated with a higher risk of breast cancer). So reach for a drink such as water or herbal tea that will help you feel calm. If you experience mood swings that interfere with your daily life and these healthy makeovers don’t help, it may be time to check in with your doctor or naturopath. Herbs like chaste tree and red clover, vitamin supplements or medical treatments may help. Hormonal cycles should not be used to discount or discriminate against women or medicalize normal life changes. However, it doesn’t serve women to pretend their bodies and moods stay constant through the course of their lifetime. Whether the subject is menstruation, menopause, or moods, they should take their health seriously. Recognizing and understanding hormonal fluctuations may help them move through their lives with more awareness and ease. 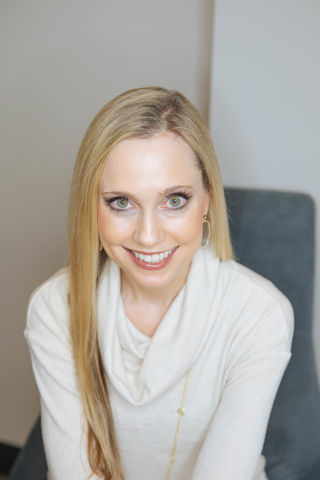 Abby Quillen is an author and marketing strategist who writes about sustainability, gardening, green living, health, business, and other topics. Her work has appeared in The Christian Science Monitor, YES! Magazine, and in dozens of other publications. She lives in Eugene, Oregon with her family.